The Green Wall will enter the second week as the only undefeated squad. The first week of the Call of Duty World League Pro League came to an end earlier today, and only one undefeated team remains. 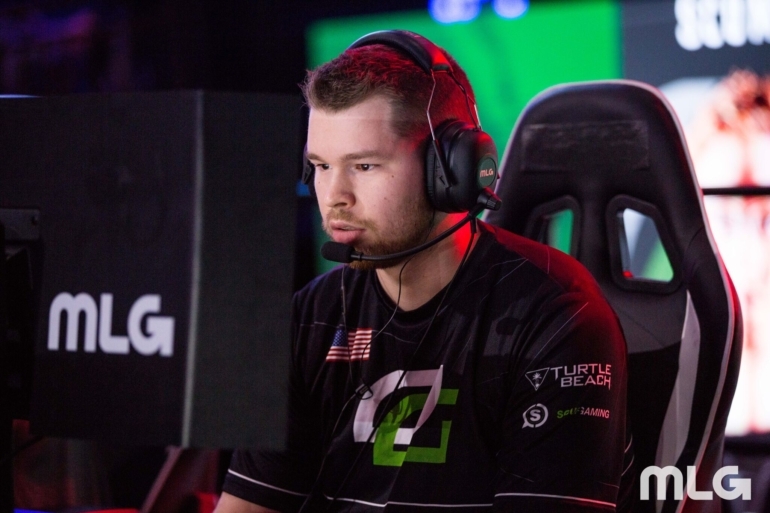 OpTic Gaming—Seth “Scump” Abner, Matthew “FormaL” Piper, Damon “Karma” Barlow, and Ian “Crimsix” Porter—beat Rise Nation 3-1 to end Thursday’s action and cement themselves atop Division A.
Crimsix’s 38-kill performance helped the Green Wall open the series with a 250-208 win on Sainte Marie du Mont Hardpoint. But Rise overcame Crimsix’s 17 kills on London Docks Search and Destroy to earn a 6-5 win—Tommy “TJHaLy” Haly led the way for Rise with 16 kills. When the series transitioned to Ardennes Forest Capture the Flag, Rise jumped out to an early 2-0 lead. But the Green Wall fought back, tied the game, and then punched in the game-winning flag capture four minutes into the first overtime. With a 2-1 series lead, OpTic dominated London Docks Hardpoint and slammed the door on Rise with a 250-138 victory. Karma led the charge for OpTic with 33 kills, while FormaL also contributed 29—continuing his impressive play with a submachine gun on London Docks Hardpoint. In the other matches on Thursday, eRa Eternity picked up their first win of the pro league by sweeping Mindfreak, while Echo Fox dominated Vitality 3-0. Team Kaliber also took a 3-2 win over Red Reserve in an extremely close series that went down to the wire. Here are the standings in Division A following the first week of action in the CWL Pro League (each team’s series record is followed by their map count in parentheses). Stage One of the CWL Pro League will resume next Tuesday (Jan. 30) when Red Reserve face off against Echo Fox at 4pm ET.